Home / Catholic News / What does it really mean to observe Advent? 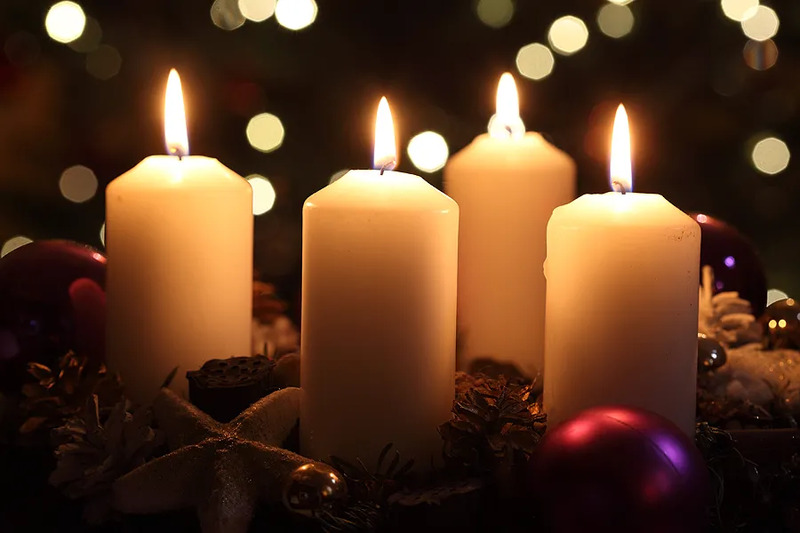 Denver, Colo., Dec 5, 2018 / 03:04 am (CNA).- With the first Sunday of Advent behind us, the liturgical season of preparing for Christmas is well underway. But what does it actually mean to “observe Advent?” The observation of other liturgical seasons may be more readily apparent – Lent is clearly a time for prayer, sacrifice and almsgiving, while Christmas and Easter are clearly times for celebration. Search Pinterest for “how to celebrate Advent” and everything from ideas for a do-it-yourself Jesse Tree, to instructions for a handmade Advent calendar bunting, to a tutorial on “how to make your own wreath from foraged materials” appears. The penitential time of preparation before Christmas seems to have taken on a crafty life of its own over the last few years, thanks to websites such as Pinterest and Instructables. Add in a few glowing shots of your friend’s handcrafted nativity set on her Instagram feed and you’ve got a recipe for some serious Advent-envy. While all of these crafts and activities can help one better celebrate Christmas, it’s important not to let them distract from the true purpose of the season: preparation for the Incarnation, said Fr. Mike Schmitz, chaplain for the Newman Center at the University of Minnesota Duluth. Fr. Schmitz told CNA that one of the things that gets easily overlooked about Advent is “that it’s actually a season of penance” and as such, the Church asks us to practice prayer, fasting, and almsgiving. “That’s kind of like the buzzkill of Advent because it’s like, ‘OK, don’t have too much fun because, remember, this is a penitential season’,” he said. However, just because it’s a season of penance doesn’t mean we need to be somber. “I think there’s some great ways that a person or a family can make that – prayer, fasting, and almsgiving – a part of the celebration of preparation for Christmas. It doesn’t have to be a dour kind of experience,” he said. The simplest way Catholics can prepare for Christmas, Fr. Schmitz suggested, is by going to confession during Advent. “During Advent the faithful are asked not only to prepare themselves to celebrate Christmas, but we’re called to prepare ourselves to meet Jesus at the end of time,” he said. For Kathryn Whitaker of the blog, “Team Whitaker,” observing Advent is all about knowing what works best for your family. “There are lots and lots of beautiful ideas on Pinterest and other places, but I think you have to find what suits your family and then not apologize or feel badly because someone else is doing it differently,” she said. In an attempt to dial back the frenzy of Christmas morning, she said her family began to look for ways to serve others and be grateful for what they already have in the weeks leading up to it. The Whitakers pick a local family in need to “adopt” each year by providing gifts and food, or they donate presents to Brown Santa – a tradition named for the brown uniforms members of the Travis County, Texas Sheriff’s Office wear that provides assistance to underprivileged residents, particularly during the Christmas season. That, plus “lighting” her kindergartner’s Advent wreath – made from tissue paper and toilet paper rolls – and having a Jesse Tree, an ancient tradition of decorating a tree with ornaments that represent the story of salvation, will make up their Advent, which also includes Mass and confession. Over the years, Whitaker and her family have adapted their Advent season to their “family season.” The year that she and her husband brought their premature son home from the hospital, for example, all they could do was put up the Christmas tree with some ornaments. In recent years, the Engstroms have “scaled back our Advent activities by a ton” by just focusing on the Advent wreath and a few saints’ feast days. Festivities that many Americans typically do in the time before Christmas – such as looking at light displays, drinking cocoa and watching Christmas movies – are all saved for the actual Christmas season. While engaging her kids in celebrating Advent is important, she said observing this season has also helped her grow in her relationship with God. Essentially, there’s not just one way to do Advent, and that’s fine. This article was originally published on CNA Dec. 5, 2015.